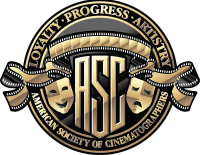 In their respective Academy of Television Art & Sciences categories, ASC members Adriano Goldman, Ellen Kuras and Gary Baum (seen above) took home trophies for exceptional camerawork during the 2018 Creative Arts Emmy Awards Show, which took place in Los Angeles at the Microsoft Theater on September 15 and 16. This marks the third year in which the Creative Arts has been divided into two ceremonies. At the Saturday show, the emphasis was on scripted programming; Sunday honored unscripted and documentary programming. Below are the complete Outstanding Cinematography categories for television (winners first, in bold). AC will soon be presenting interviews with each winner discussing their work. Peter Deming, ASC Twin Peaks • “Part 8” • Showtime • Rancho Rosa Partnership, Inc.
Morgan Fallon, Jerry Risius, Tarik Hameedi Anthony Bourdain: Parts Unknown • “Lagos” • CNN • CNN Original Series and Zero Point Zero Production, Inc.
Joshua Gitersonke, Alan Weeks, Ryan Shaw, David D'Angelo, Petr Cikhart The Amazing Race • “It’s Just A Million Dollars,” No Pressure • CBS • WorldRace Productions, Inc.
Of note, the Television Academy will present the Engineering Emmy Awards on Wednesday, October 24, 2018, at a location to be announced.